Lost In The Warp: Building My Iron Kingdom 3 - New Rusting method! Building My Iron Kingdom 3 - New Rusting method! 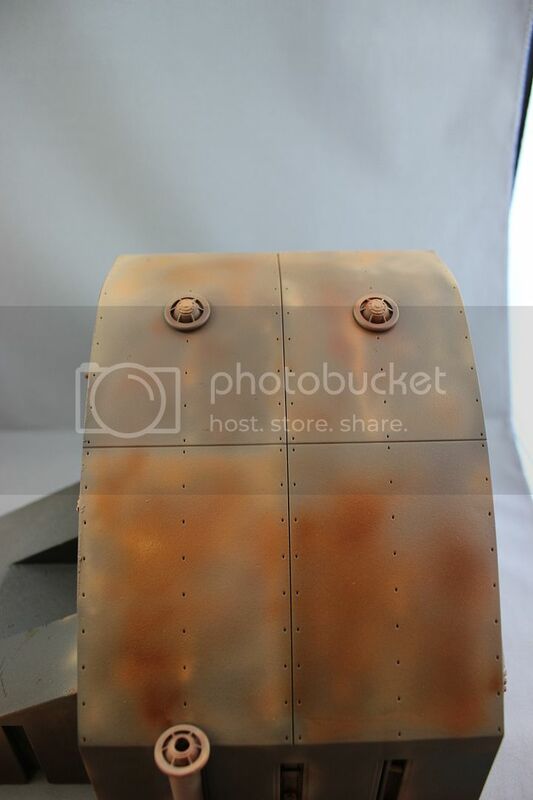 Painting rust is a fascination and obsession for many modellers. It is fun, looks cool and, thanks to AK Interactive, easier than ever!!! OH MAN this stuff is cool! When I opened the package from Mig, Iain and the AK crew and found these paints inside my mind started turning with possibilities! 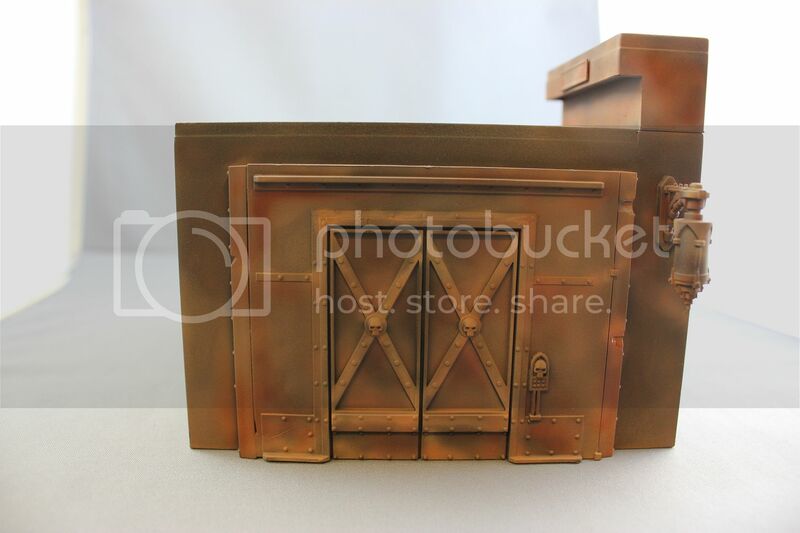 This is really what got me back on track with my scenery projects and has been an absolute joy. 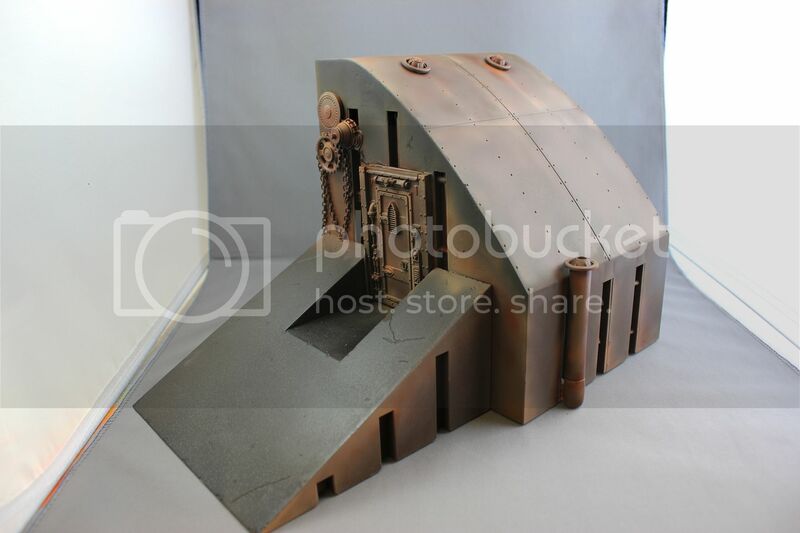 For any who aren't familiar yet AK interactive is a modelling product company who is consistently bringing out unbelievably brilliant and innovative products. They have completely changed my approach to modelling and finishes over the last year. This particular set of paint is produced for them through a partnership with Vallejo - so you know the paints are of great quality and consistency. 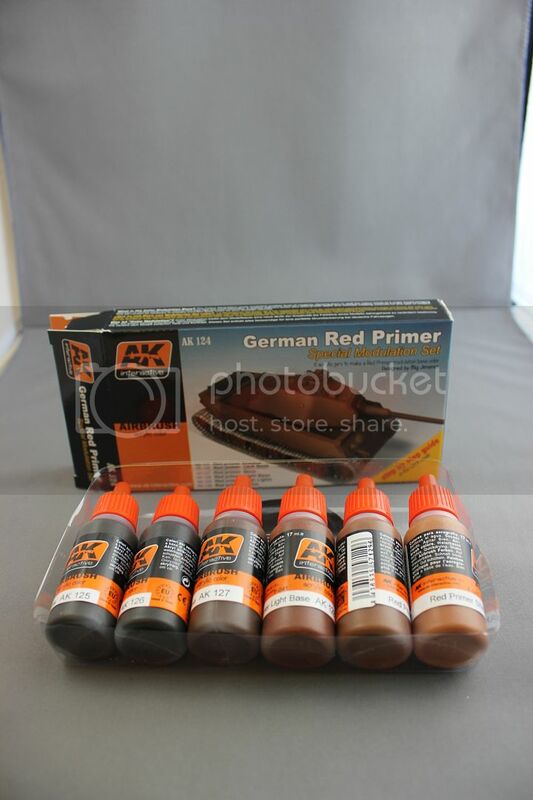 It was made to paint primer coats for historical German vehicles but really they can be manipulated REALLY easily to make rust finishes instead. Mind you, there is one more stage to follow this. 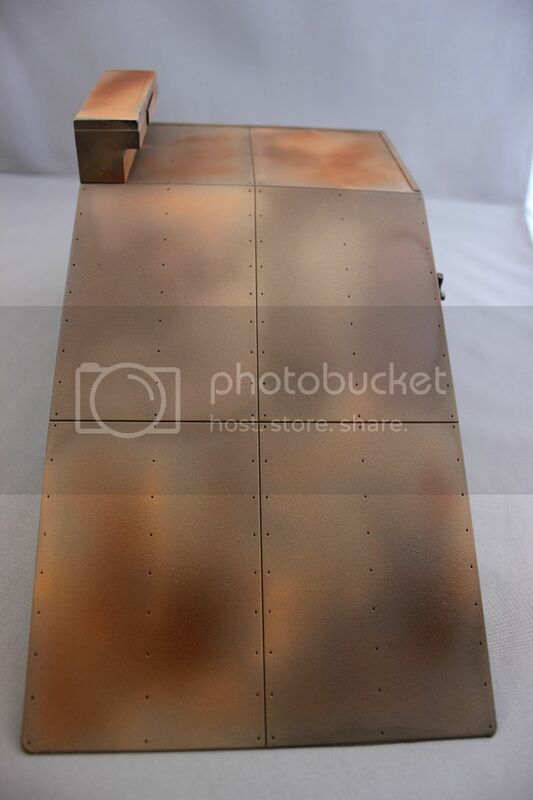 In order to make it even more "rusty" looking after the painting stages seen in the pics here dried, I went back with Vallejo transparent orange in my airbrush/ I misted some areas and sprayed filter coats on some others. The results are fantastic and more pics of the later stages will appear in my next update. Now that these are looking good and rusty and are just waiting to dry enough for the orange filters, I will start planning colour schemes to work over the rust. If this seems like a strange descision considering that I just finished applying a full coat of paint, you will have to tune in again next week to see! 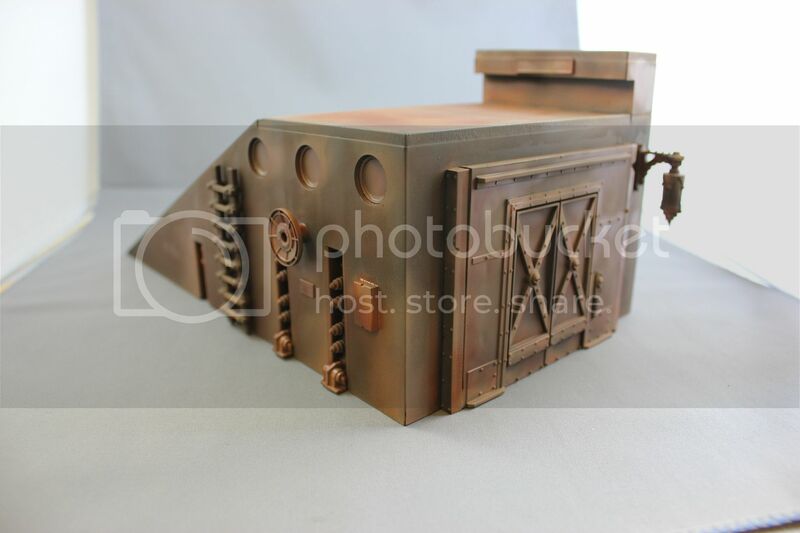 That really is a fantastic piece of terrain and so well painted, sorry rusted. Looking awesome, yet you say they're looking even better? Hard to imagine!